VanillaWare's action RPG PS Vita port tops six-digit shipments. 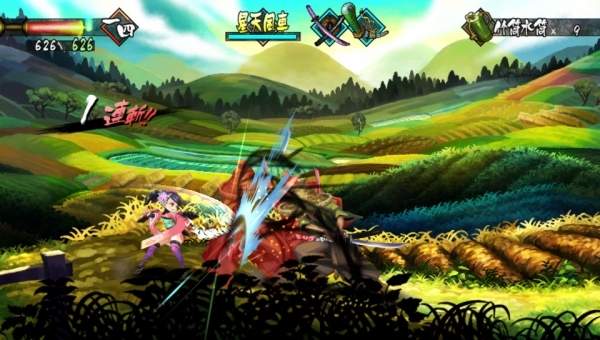 Muramasa Rebirth has topped 100,000 shipments in Japan, publisher Marvelous AQL has announced. The number is a combination of the game’s retail units shipped and download units sold. At least 67,800 sales are from the retail version, according to last week’s Media Create sales chart. The VanillaWare-developed action RPG port launched for PS Vita in Japan in late March, and is due out in North America on June 25.